Breaking up Eskom’s vertically integrated model will help turnaround the ailing power utility and create more efficiencies in the energy sector. This is according to panellists at a public discussion recently on the Eskom crisis which was hosted by the University of Cape Town’s Graduate School of Business (UCT GSB) in conjunction with Power Futures South Africa - a platform for inclusive, evidence-based discourse for a just and transformed South African energy sector. Eskom, which supplies 95% of SA’s electricity, is in a severe financial crisis and is struggling to pay the interest on its massive R419bn debt out of the revenue it generates. The power utility is regarded as the single biggest risk to the SA economy by the Treasury and credit ratings agencies. Last week President Cyril Ramaphosa told delegates at the World Economic Forum in Davos that the Eskom crisis would soon be resolved. “We are currently developing a response to the financial and operational crisis at the country’s electricity utility, Eskom. In the next few weeks, we will be announcing a set of measures to stabilise and improve the company’s financial position and to ensure uninterrupted energy supply,” the president said. In a bid to turnaround Eskom, the governing party the ANC is considering the restructuring of the utility, including separating it into three parts focussing on generation, transmission and distribution. Speaking at the UCT GSB public discussion, Mandy Rambharos, the Climate Change and Sustainable Development Manager at Eskom, said she personally supported the breaking of the power utility. “It will increase efficiencies. You will have an independent systems operator who treats all generators the same,” said Rambharos. However, she said there were concerns around municipalities and whether they can manage distribution networks. Eskom is owed just more than R13bn by municipalities, with the top 10 nonpayers owing R10bn. In turn, municipalities are owed R139bn by residents for services. Some residents have attributed their failure to pay for electricity to high levels of unemployment and poverty. Nhlanhla Ngidi the head of electricity and energy at the South African Local Government Association (Salga) said the drive to turnaround Eskom will affect a lot of municipalities. “We need collaborative leadership. You can [try turnaround Eskom] all you want, but if people do not have jobs, you will not crack it. You will have an electricity industry that is not sustainable. We have to look at design of municipalities as well. They [some municipalities] are failing by design. Some of them are built on mines, and when there are no more mines, people do not have jobs,” said Ngidi. He agreed that breaking up Eskom could turnaround the utility, but more needed to be done to create competition in the energy sector. Professor Anton Eberhard, the director of the GSB Managing Infrastructure Investment Reform and Regulation In Africa (MIRA) programme has pointed out that breaking up Eskom may seem like a radical restructuring proposal, however it is not. “It was proposed in the Energy Policy White Paper in 1998. And it’s logical. It separates the potentially competitive elements of the electricity industry — power generation — from the natural monopoly component, transmission. 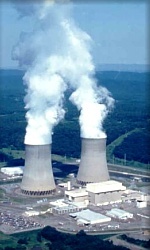 It’s also potentially efficient as it creates focused utilities,” states Eberhard. This would help to remove impediments to investment – especially in renewable technologies – and facilitate much-needed economic growth while helping secure a sustainable energy future for SA. Further ideas to address Eskom’s financial crisis and facilitate SA’s energy transition that were mooted at the same event, included a suggestion from Louise Scholtz, the Manager of Energy and Urban Futures in the Policy and Futures Unit at World Wildlife Fund South Africa that non performing municipalities must lose their ability to distribute and sell electricity. “Eskom should take back that capacity until they [the municipalities] prove that they can have fiscal responsibility and have the ability to manage their own distribution systems,” said Scholtz. Steve Nicholls, the head of Environmental Sustainability for the National Business Initiative (NBI), said all of society needs to play a role in determining SA’s energy transition. Catrina Godinho, one of the founders of Power Futures South Africa said the policy debates in the electricity sector have become increasingly exclusive and polarised. “This at a time when the world is changing around and with technological developments and environmental issues. We need to re-imagine our energy systems,” said Godinho. Lauren Hermanus, a sustainable development practitioner and the co-founder of Power Futures South Africa said SA’s electricity crisis requires broad participation, not just by academics, politicians, and engineers. “There is really an urgent need to access accurate information [to drive] the transition of the energy sector,” said Hermanus. 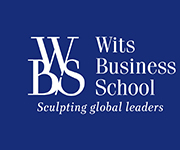 Executive Education at the UCT Graduate School of Business is dedicated to growing the leadership backbone in organisations and individuals and inspiring a new generation of leaders to engage with the challenges of the African continent in a hyper-connected and globalised world. Visit our InfoCentre or website.